A certain Only posted the video to my FB timeline and suggested I should try this recipe. I did. We all enjoyed it over Christmas. 😆 Please note that the picture is of a double batch. 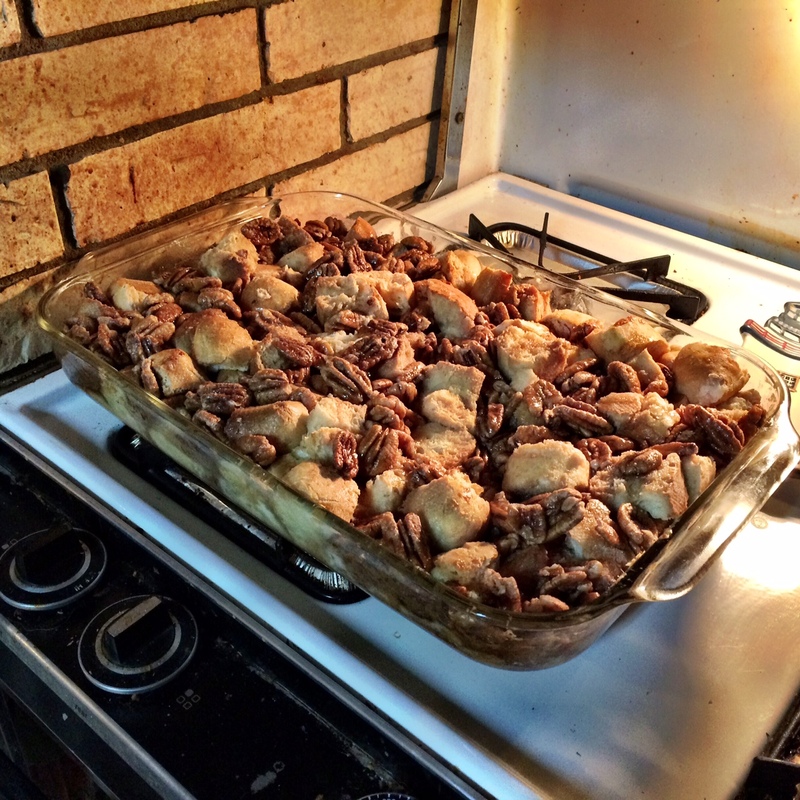 The recipe, as given, is better in a 9X9 baking pan. Stir until sugar is dissolved and mixture is smooth. Pour over bread mixture and stir. Serve warm. You can watch the video to see how it’s done, but I had to watch it more than a few times to get the ingredients down right. 🙂 Enjoy! And let me know if you make it. This entry was posted in Writing Life and tagged #IMadeThis, family, food, pics, recipe, Tuesday Treats. Bookmark the permalink.